John Vassar Custom Shutters & Blinds can liven up your home – call us at 800-506-6610 or come visit us at 15950 Blythe St., Van Nuys, CA 91406. 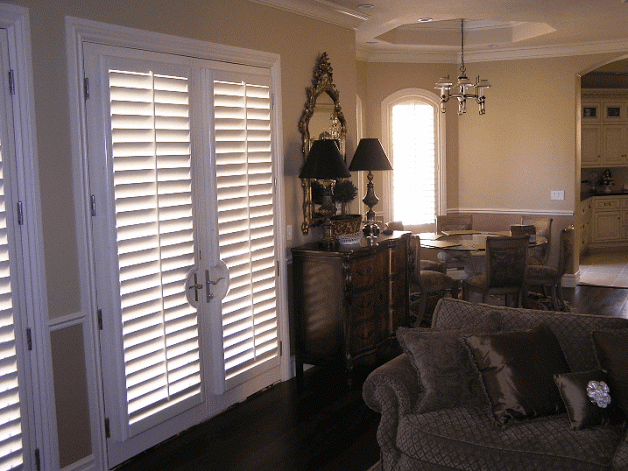 John Vassar Custom Shutters & Blinds carries a variety of styles that can compliment any home. Just imagine how your front window will look with beautiful shutters that you can open to let the sun in, or close to create more privacy. None of our shutters come from overseas, we are the factory. All shutters sold and installed by John Vassar Custom Shutters & Blinds are built in our factory right here in Van Nuys,California. We also build Poly core Shutters. We sell wholesale direct to the public, and then install all of our products at no additional cost. Our specialty is hardwood shutters.